We are a regional contract motor carrier based in Akron, Ohio. Most of our customers are manufacturers of frozen foods, dairy products and fruit flavorings. We pride ourselves in providing high levels of customer service, and providing safe equipment and drivers. 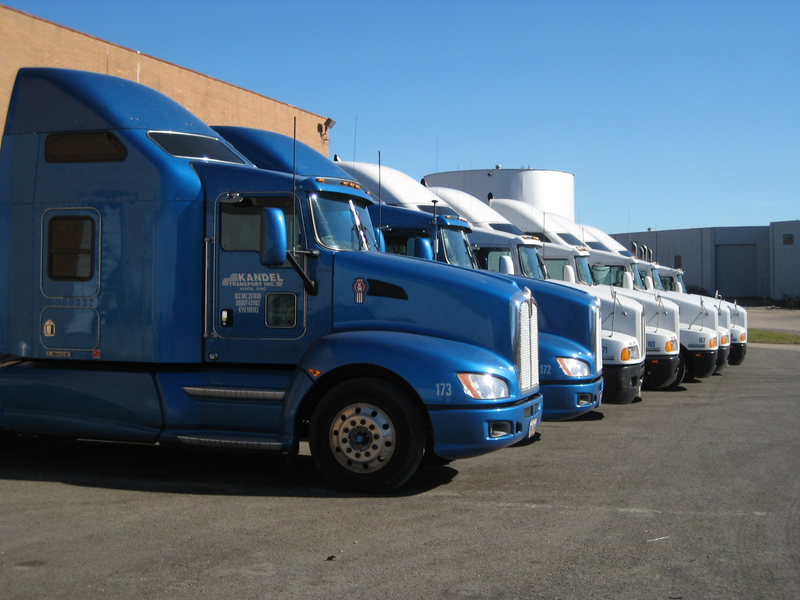 We offer clients a variety of services, including refrigerated, frozen, and deep frozen transportation, as well as climate-controlled warehousing and plant shuttle services. Do you enjoy working in a warehouse and operating a fork lift? Are you a dependable driver who wants to drive for a company where you are not just a number? Kandel Transport is a fully integrated transportation service provider. Our market niche is in temperature-controlled commodities in a market area generally covering from Boston to Chicago, this includes most of the Great Lake States and New England, as well as Montreal and Toronto. Our equipment stands ready day and night to serve your needs. If you have any other specific transportation requirements, please feel free to contact us. 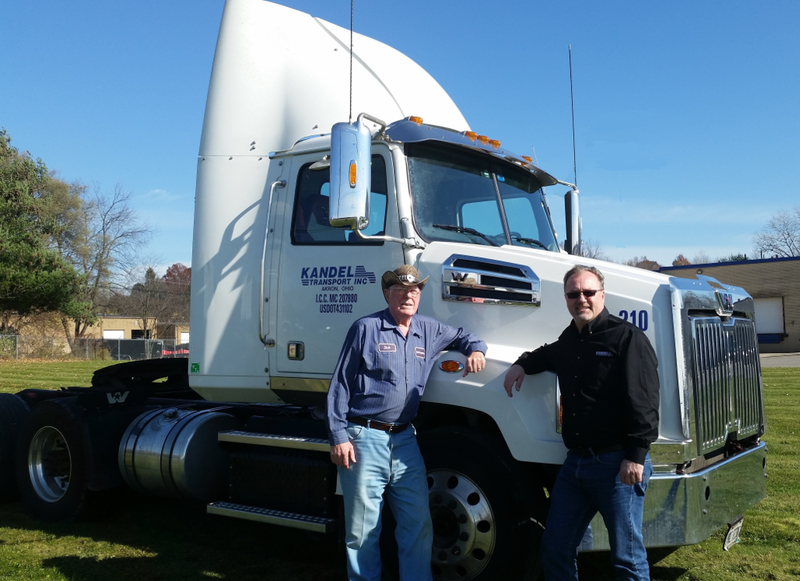 Kandel Transport, Inc. is always seeking quality, dependable drivers. 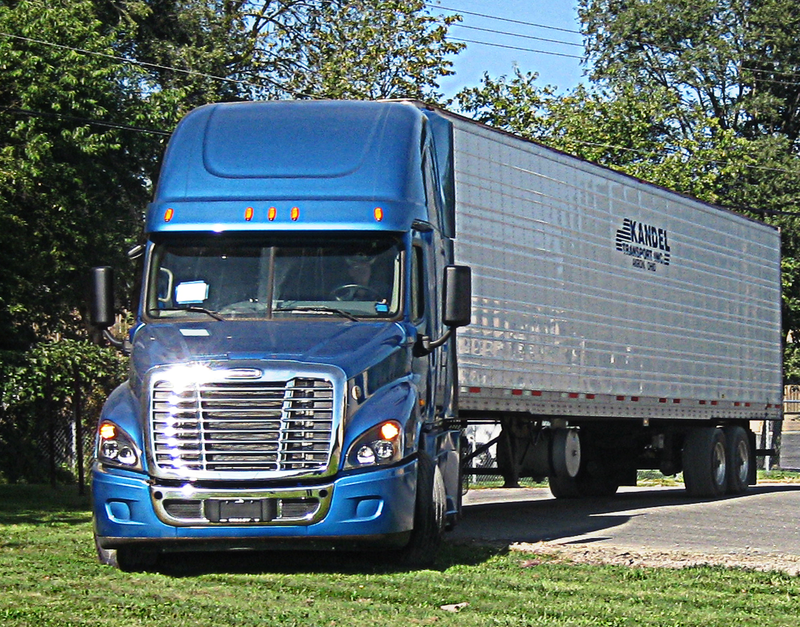 We employ both full-time drivers, regional OTR drivers as well as some local drivers. We also hire part-time drivers and on-call drivers. 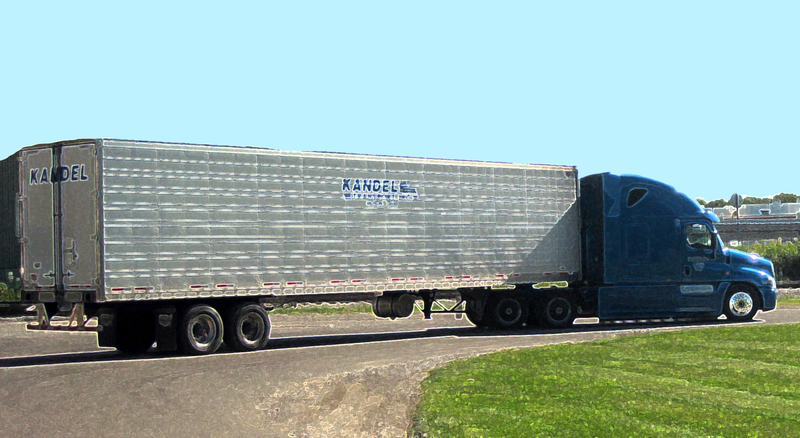 Kandel is seeking full-time regional/OTR drivers based in our Akron, Ohio headquarters. We are also taking applications for local drivers in Akron, as well as local drivers in the Northwest Ohio area. Kandel has an extremely low driver turnover rate, and has for many years. Most trips consist of travel in the Great Lakes region and the Northeast. The majority of our freight is no-touch, however, there are a couple locations where you may be required to unload with a hand jack. Currently our OTR drivers generally leave Sunday and end on Thursday/Friday depending on dispatch. The majority of our drivers are home most weekends. Most OTR drivers can average 2,500 - 3,000 miles per week on this schedule. We are seeking drivers with strong personalities, common sense, solid communication skills, and attention to detail - completing and turning in all paperwork on time. Company standards and requirements can be seen on the application link below. Pay is mileage based, plus there is a bonus incentive. In addition, extra charges are also part of the drivers pay. Pay is made weekly by direct deposit. This is just a general overview, exact pay details are presented to applicants during the hiring process. BENEFITS: Drivers receive $29 per week health insurance. FREE LIFE INSURANCE! and FREE DISABILITY INSURANCE! These benefits begin the first of the month following just 30 Days of Service! Family health insurance benefits are also available. Other benefits include Dental, Vision, Flexible Spending Account, Employee Assistance Program, Paid Vacation and 401K. If you are seriously interested in this position, please click here for the position requirements and to get an application. All other questions you may have (including pay rate) will only be discussed with applicants who are seriously interested in the job and have submitted a completed application. Part time drivers are valued here at Kandel Transport to even out the surge in freight and also to help our full time drivers when relief is needed and /or to keep the regional drivers on the longer runs. We are always looking for part time drivers to run day trips both during the week and on weekends and do a relay with our regional drivers. Most of these runs are simple drop and hook moves. If you prefer to run regular every week OR you'd like to be an On Call driver, we try to accommodate to fit your preference. If you are retired, but want occasional work, give us a call. Pay is by mile, and applicable additional compensation are also part of the drivers pay. We pay weekly by direct deposit. The pay will be presented in detail when considered for hire. Benefits are not part of a part time driver’s compensation. To reach us via mail, use 365 Munroe Falls Rd., Tallmadge, OH 44278, OR you can contact us right here by filling in the information below to inquire about our services. When you are finished, click the Submit button. You can also submit your comments directly to us by clicking . Please fill out email and/or phone, at least one is required. Virgil Kandel first incorporated his small company in 1959, it was then called Kandel Produce Co., Inc. Kandel Produce bought and sold truckloads of produce under the authority of the U.S Department of Agriculture. Kandel Produce also arranged for transportation of the loads. In 1970 Kandel Produce was purchased by Joseph Capak, the proprietor of Seaway Reefer Service in Cleveland, Ohio. Mr. Capak then hired our former president, Richard Daniels, to operate and manage Kandel Produce. Through the 1970's and early 1980's Seaway acted as an agent for a variety of large trucking companies. The produce business was seasonal. Mr. Daniels would operate Kandel Produce in the summer and help Mr. Capak manage Seaway Reefer Service during the winter months. Kandel Produce and Seaway Reefer were sold to Richard Daniels in 1984. Seaway Reefer was a good complement to Kandel Produce, because of its strong customer base in the food industry in the Cleveland area. These two companies were merged to form Kandel Transport, Inc. in 1989; at the same time Kandel acquired I.C.C. authority. 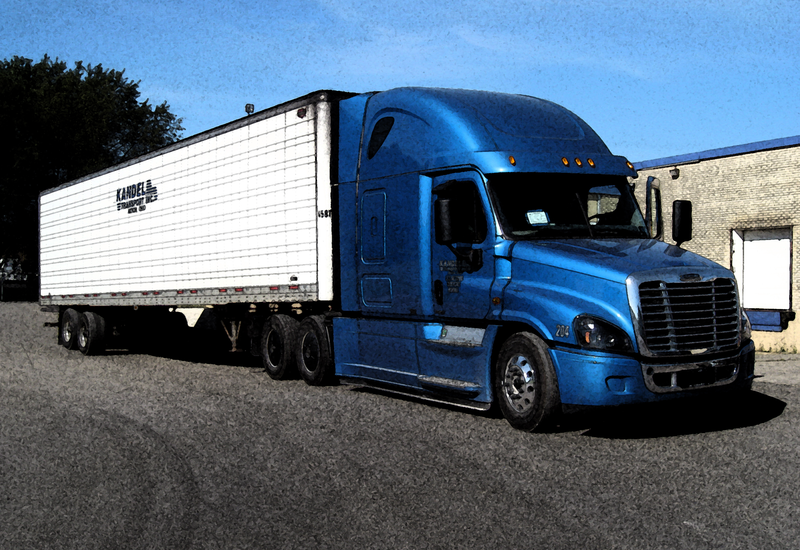 During the early 1990's Kandel Transport continued to act as an agent for outside carriers, and built up a fleet of company owned trucks and leased operators. In 1993 Richard Daniels retired, and both companies were sold to Mr. Jack Daniels. Following intrastate deregulation, we have aggressively pursued the short haul/intermediate haul market ranging from 500 to 800 miles between Chicago, Montreal, Boston, and Philadelphia. We opened a terminal in Fort Wayne in 2001; the main role this facility plays is to move freight from the Chicago area into our Akron, Ohio main terminal. We have since added additional yards in Illinois and Pennsylvania to meet the growing demand between the Midwest and East, as well as a location in Syracuse, NY, to move freight into Canada. Today, we are a regional refrigerated carrier, headquartered in Ohio, servicing the surrounding states and Canada. Our fleet consists of 40+ company-owned tractors. Our new administration office is located at 365 Munroe Falls Rd, Tallmadge, OH. 44278. We opened a 75,000 square foot cold storage facility in 1996. In 2007 we opened a second 70,000 square food cold storage facility less than 1 mile from the original. Kandel Cold Storage has become an integral part of our organization. In order to focus on the growing volume of our refrigerated transport market & cold storage units, Kandel Express (our 3pl Brokerage company) is no longer actively participating in providing outsourced logistics services. Our focus is on directly servicing our growing list of clientele.